To prevent diseases like Anaplasmosis, Tick-borne relapsing fever, Babesiosi, Tularemia, Ehrlichiosis, Lyme disease and Rocky Mountain spotted fever, you must prevent tick bites. Doing so would certainly reduce the instances of acquiring tick-borne diseases. Although a tick bite does not always result to an infection, why take chances if you can prevent the bites in the first place? People who love to camp, enjoy hiking or are fond of gardening are the people susceptible to tick bites and the dangers they pose. Unfortunately there is no vaccination available yet for such diseases save for tick-borne encephalitis or TBE. So when sharing fun with Mother Nature, make sure to practice precautions. As much as you can, avoid areas where ticks are present. This includes moist and humid locations, grassy and wooded areas, and trails. Ticks are found in shrubs and leaf litter too. 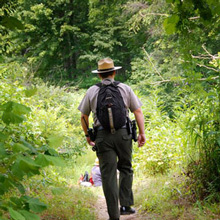 If you must go hiking, avoid brushing against bushes or thick plants. Walk where it is clear, along the center of trails. Treat hiking boots and clothing with permethrin based anti-tick products. Protect skin from bites for hours by applying tick repellents containing DEET. Be sure to use according to instruction; on children, use with caution or check with your doctor. Even when advised to avoid tick-prone areas so you can prevent tick bites, there is really no guarantee that you can one hundred percent do so. When you know you have possibly exposed yourself to ticks, make sure to check after coming indoors. Ticks may have attached onto your clothes and if so, wash them immediately and place in high heat. Exposing ticks to a certain heat degree kills them. It could also spell a big difference if you immediately shower to wash off ticks. If a tick has already found its way to your body crevices and has attached itself, this could be the best time to inspect areas such as the armpits, the ear area, around the waist, behind the knees, the belly button and through the hair. Doubtlessly, measures to prevent tick bites from happening will always be the best defense against tick bite illnesses. Still, there could be instances when a tick would still find a way to grab a bite or two in its quest for blood. What do you do? Should you find a tick attached on your skin, remove it immediately. Observe tick removal directions. If fever or rash develops after a bite, see your doctor. It would be helpful if you can bag the tick that bit for clinical inspection, easier diagnosis and medication. Reducing the chances of ticks infesting your home or surrounding is your first step to prevent tick bites. While you can’t completely control the presence of ticks outside your home, there are steps you can take to lessen the chances of an infestation at home and in its immediate surroundings. Regularly clean your yard and free it of tall grasses and bushes. Don’t let leaf litter stand for days. Place gravel or sand on areas by the swing or the children’s play area to create an obstruction for ticks. Avoid storing unused equipments in shaded areas for longer periods that could create a haven for ticks. Control tick presence with the use of home-grade anti-tick chemicals. You can also consult professional pest control specialists who can apply tick treatments thereby helping you and your loved ones prevent tick bites. Use tick-control soaps or shampoos on your pets. Your dog or other pets that you have at home could be the most convenient vehicle for ticks to invade your domain and cause tick problems. Even as it looks like there is no a way at this time to completely eradicate ticks from our lives, there are certainly ways to combat them. Educate yourself about these ways so you, your children and the rest of the family members can continue enjoying the outdoors. Ticks, living things as they are, would always seek blood but you can without a doubt do something to prevent tick bites.